I thought it would be a fun way to save some money from not cooking meat, and give some variety to the menu. My carnivore hubby agreed after I insisted I would make sure the vegetarian meal was loaded with so much protein that it would make his weightlifting muscles giggle with glee. So I made Thai Egg Crepes, Kai Yat Sai, stuffed full of lentils, peas and carrots mixed in a savory tomato sauce. It’s a dish that is normally made with ground meat, but I figured the lentils would be a good replacement, and they were! 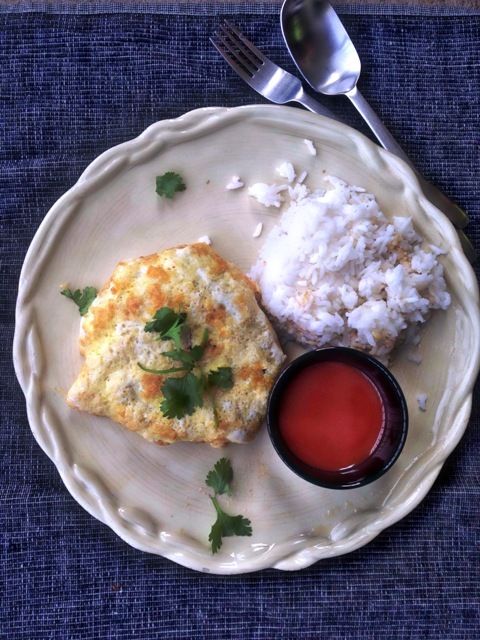 Most Thai kids love the dish, and my kiddos and our friend’s kids we had over for dinner were gobbling it up like it was chicken nuggets and fries. And know what my Thai Hubby said? “This is the best vegetarian dish you have ever made! 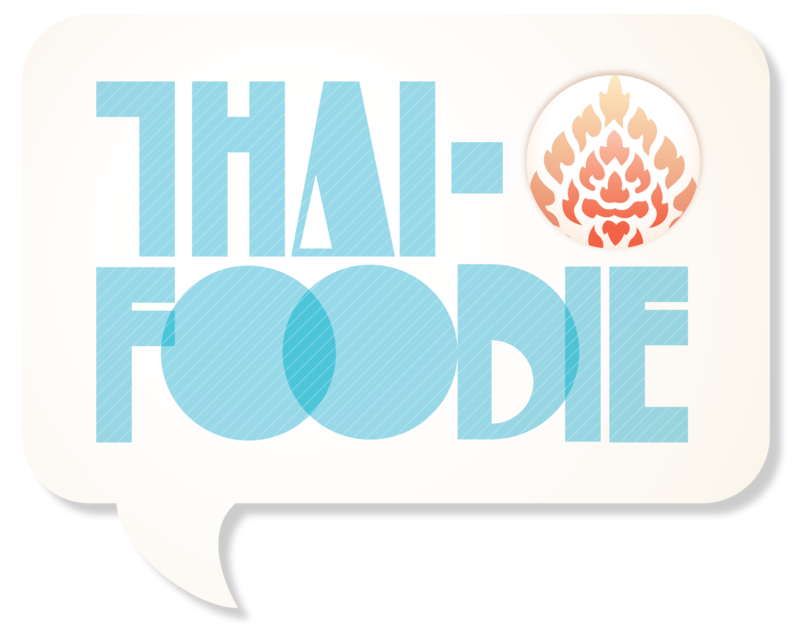 !” Score for rave review from the Thai Hubs! 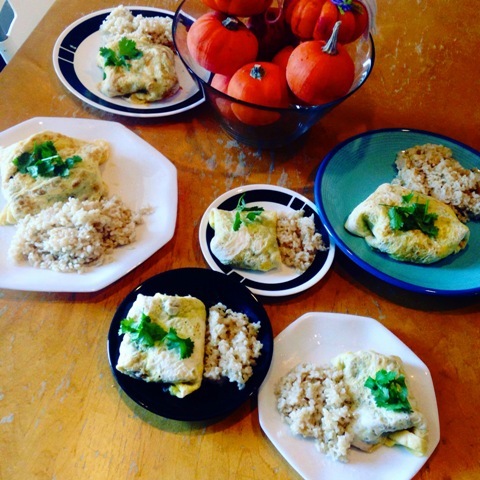 And until then, check out our delicious, vegetarian, protein-laden Thai Stuffed Egg Crepes! 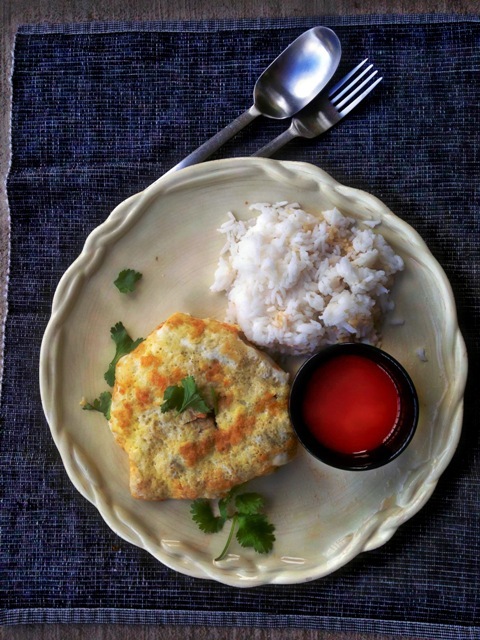 Make Thai Stuffed Egg Crepes at home, a favorite of kids and adults! Try out this Thai classic vegetarian-style or add meat! Crack two eggs into a bowl. Whisk them until frothy. Add 1 tsp of cooking oil to a wok or large non-stick pan that can easily be picked up a swirled :). Warm the pan to medium-high heat. Once the pan is warm, add the eggs. Swirl the pan, so the eggs spread out into a thin, circular shape. Feel free to push in the sides of the shape to make it more of a circle if needed. If it's not perfect circle, no worries. The egg crepe police aren't out today. After one minute or so, when the crepe has set, flip it over to cook the other side until it has set as well. Slide it off onto a serving plate. Do the same with the remaining eggs. Place each crepe on a separate plate to ensure they don't stick together. Once the eggs are cooked, keep the pan on medium-high heat, add more oil if necessary, and then add in the shallots and garlic. Cook until fragrant, then add the bag of peas and carrots, lentils, oyster sauce, light soy sauce, ketchup and tomato sauce. Once the sauce had thickened, and the veggies are warmed up, usually after about 5 minutes, turn off the heat, and add in the white pepper powder. Add about 1/2 c. or so of the lentil veggie mixture to the crepe, making a mound about 4-in. in diameter. Be careful because if you put too much it will be hard to fold up the crepe. Fold up all the sides of the crepe over the mound. Carefully flip it over. Sprinkle cilantro on top. Serve with jasmine rice. Feel free to use less veggies if you want. We just use a lot and usually we will have more lentils and veggies leftover and either make more egg crepes the next day, or just eat the mixture with rice.